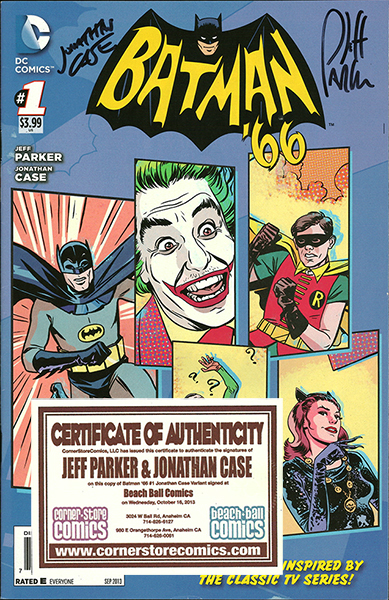 Limited to only 1 copy per 25 copies of the regular cover purchased, this Jonathan Case variant is in NM (or better) condition. Includes Certificate of Authenticity issued by Beach Ball Comics (where the signing took place), guaranteeing the signatures of writer Jeff Parker and artist/cover artist Jonathan Case! It will double-boarded and placed into a mylar sleeve for safe shipping and storage!.